Gujarat has been the land of many riches since time immemorial. The 5,000 years old port of Lothal, located in the Bhal region of the State, earned the distinction of having the world’s earliest known dock, connecting the city to an ancient course of the Sabarmati River on the trade route between Harappan cities in Sindh and the peninsula of Saurashtra when the present-day Kutch desert was submerged in the Arabian Sea. 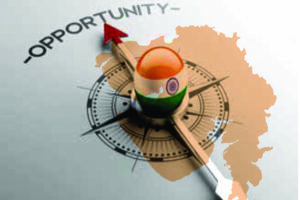 While historians may assign the glory of Gujarat as a major global hub of trade and commerce to antiquity, the entrepreneurial spirit, which is embedded in Gujarat’s social milieu, has survived the tide of times and continues to inspire, and instigate to explore new ideas for building a New India. Vibrant Gujarat in a way epitomises that spirit. Conceptualised and put in motion in 2003 by the then Gujarat Chief Minister and current Hon’ble Prime Minister Narendra Modi, Vibrant Gujarat has grown from strength to strength to emerge as the “world’s gateway to opportunities in India”. Today, the summit—as a facilitator for knowledge- sharing and forging effective partnerships—has evolved into a platform for brainstorming on agendas of global socio-economic development. Vibrant Gujarat’s steadily growing significance can be gauged from the fact that the 8th Vibrant Gujarat Global Summit had witnessed participation of more than 25,000 delegates from over 100 countries, including four Heads of States, Nobel Laureates, captains of global industry and thought leaders. The 9th edition of the mega event intends to provide a forum for discussion on Global, National and State- level agendas with a sharp focus on all round economic development for a New India. In addition to the flagship events, organised as part of Vibrant Gujarat, the summit will also witness the launch of a completely new set of forums aimed at diversifying the nature of knowledge-sharing at the Summit, and intensifying the level of networking between participants. The Vibrant Gujarat Global Summit is actually the gateway to understand the worldview of New India and the innumerable opportunities it presents at a time when there is a surging focus on using innovative technologies in almost every sphere of life and governance. The Vibrant Gujarat Global Summit serves as a platform to identify potential business partners while enabling people to participate and identify the way forward for inclusive growth over a long time. Besides, it serves as a useful platform for the MSMEs to identify joint venture opportunities and government tender opportunities for a business expansion. Over the years, the Vibrant Gujarat Global Summit has emerged as a major platform of knowledge-sharing and forging effective partnerships. It has evolved into a platform to brainstorm on agendas of global socio-economic development. The summit presents a big opportunity to explore a sea of investment opportunities that await investors in Gujarat. When Gujarat gained status of a State in the 1960, developing Micro, Small or Medium Enterprises (MSME) Sector was perceived as a priority. Since then MSMEs have been the bedrock of the State’s formidable manufacturing economy. Since 1860s, the textile industry has boomed in the city of Ahmedabad. In the early 20th century, pharmaceutical, chemical and engineering units were commissioned in Gujarat. Later, the Gujarat Industrial Development Corporation (GIDC) was established with a focus on zoning and planning industrial estates with dedicated infrastructure such as roads, drainage, electricity, water supply, street lights, and ready-to-occupy factory sheds. It was meant to diversify the production base, and take industrialisation to new spheres. The reduced per factory cost for infrastructure was a big draw for business units from other States to Gujarat. Some GIDC Estates were developed in economically backward areas like the tribal dominated districts of Gujarat, where factories could benefit from government incentives. The petroleum refineries and large chemical complexes like the Gujarat State Fertilisers and Chemicals Ltd (GSFC) led the growth of chemical industry. MSME continues to be a priority area for the Gujarat Government, as it recognises their role in driving production, employment, innovation and competition. The Government expects the Special Investment Regions (SIR), the Petroleum, Chemicals & Petrochemicals Investment Region (PCPIR), sector specific industrial estates and privately owned industrial parks in Gujarat to continue to support MSME growth. Since 2003, the Government of Gujarat has been hosting the biennial Vibrant Gujarat Summit with a focus on drawing investment into the State, boosting entrepreneurial confidence in the State while highlighting the inherent strengths of Gujarat. The summits successfully bring together business leaders, investors, corporations, thought leaders, policy and opinion makers. In the past, these summits have supported industrialisation in new areas like the 2001 earthquake affected Kutch district where engineering and metallurgical industries, power plants and industrial parks have been commissioned over the last 15 years. One of the major developments in Gujarat recently has been the growth of a global automobile and engineering industries hub in the Sanand-Hansalpur-Vithalapur region. Here, projects of multinational and national automobile majors have been commissioned or are lined up for completion. This stretch has also seen the establishment of many plants manufacturing auto ancillaries, tools, bearings, machine parts and other engineered goods. The growth of this sector has been driven by the availability of infrastructure, the strategic location with highway access to the ports of Kutch, and the Ease of Doing Business supported by the government’s proactive policies. Agri-enterprises like agro-industries, fisheries and food processing, are high on the priority of the Government of Gujarat. Agri-business Projects in the state span from protected cultivation and precision farming, dairy, warehousing and aqua culture to the food processing industry. Food processing is one of the largest industries in India, and Gujarat with its high horticultural production is poised for rapid growth in this sector. The State’s policies are supporting this sector that empowers farmers to help them draw maximum benefit of the increased demand of quality agriculture produce in the market. The food processing industry also provides employment to various sections of society, including home-based workers and the women workforce. Textile is one of the largest employers in Gujarat. The policy boost provided in recent years by the Government of Gujarat has yielded operational spinning and weaving units, some of them in rural and semi-urban areas. Some of the workforce involved in spinning and textile production is women. Gujarat continues to lead India in the pharmaceuticals and chemicals sector. New projects include plants for specialty chemicals and pharmaceuticals, biotechnology and R & D facilities. A number of Information Technology (IT) and IT-enabled companies are already operating in the Ahmedabad – Gandhinagar corridor. Many national and international majors have expressed interest in operating out of Gujarat International Finance Tec- City (GIFT), one of its kind business districts for finance and tech firms provided with high quality physical infrastructure required for such operations. Schools, colleges, universities and technical institutes have also started operating in the vicinity of industrial parks and business districts. Gujarat has also seen a tourism boom, boosted by the advertising campaigns by Gujarat Tourism. With growing tourist flows of business and leisure travelers into Gujarat, the state has become a fertile ground for investment into sports and recreational facilities. Also, there has been a sharp rise in the wind power capacity in Gujarat over the last few years. Gujarat government’s focus on tapping renewable energy that has also led to the commissioning of more solar and wind power projects in the state. Why to set up projects in Gujarat? Situated on the west coast of India, Gujarat is one of the leading industrialised states in the country. The State covering about 2 lakh sq. km. area accounts for 6 percent of the total land area of India. With a coastline of 1,600 km, it is well- connected to all the major port-based trade routes, such as USA, Canada, Europe, Australia, China, Japan, Korea, Gulf & African countries and other major trade cities of the world by air route. Gujarat’s economic development vision lays emphasis on integrated and sustainable development, employment generation and inclusive growth. The state is geared towards development of robust infrastructure that will form the base for spurring higher growth. There has been balanced development in the field of agriculture, manufacturing and services which has increased livelihood opportunities in the state. Among all other things, Gujarat intends to take up Climate change mitigation measures, utilise the large youth talent pool and tap ways to benefit from other natural resources. More than 60 percent of Gujarat’s population is in the age group of 15-59. 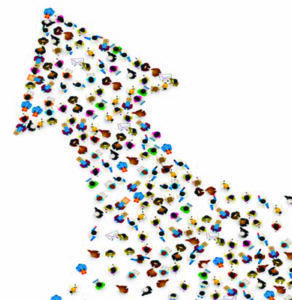 A young population means a young workforce, which, in turn, implies a more innovative and entrepreneurial mindset. The government focusses strongly not just on the employability but also on encouraging start-up incubators for developing entrepreneurial skills in the youth. In the first phase of development, led by an entrepreneurial spirit and backed by the strong support of the Government, Gujarat emerged as a manufacturing powerhouse. In the next phase of development, the State intends to move towards facilitating employment-creation and value addition from available raw materials for producing finished products. The third phase of development ushers in a regime of new product development. 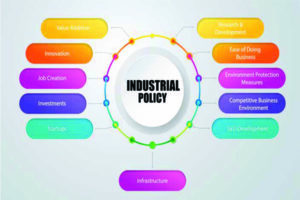 The Gujarat Industrial Policy 2015 has the stated aim of “making Gujarat an attractive “Total Business Destination”, expedite the overall country’s economic growth, thereby increasing the standard of living and prosperity among the people of Gujarat by giving them the opportunity for skilled employment and nurtured enterprises”. Known for being a major manufacturing base, peaceful workforce and high Ease of Doing Business rankings, Gujarat should be an obvious choice for launching business. It is one of the preferred States in India for businesses to set up new units or relocate operations. Its entrepreneurial ecosystem also makes it a perfect destination for the innovation- driven organisations. Together, with proactive governance and industry-friendly policies, Gujarat has a robust infrastructure that supports businesses like the industrial parks and sector-specific estates. The businesses enjoy services like power supply, water, telecommunications and natural gas grid. Over a period of time, a time-bound schedule for clearance of investor applications to ensure expeditious movement of applications. When Tata Motors Preferred Gujarat for Nano Car Project! In 2008, Tata Motors was producing Nano, a super-cheap car, which was expected to put motoring within the reach of millions of Indians who could not afford it. But Tata Motors had to face a big challenge in West Bengal, caused by a section of local residents’ protest. Various State governments approached India’s leading company to wangle the project. But it was Gujarat which fascinated the Tata Motors. Tata Motors opted for Gujarat over several other States for its Nano project because of the speed at which the state acted after the auto major pulled out of Singur in West Bengal, stated Ratan Tata, the then chairman of Tata Motors. Tata said the infrastructure available in the state, as well as the spirit and enterprise of the people of Gujarat and the State government led by Narendra Modi (the then chief minister) also made the choice compelling in the best interest of the project. In an endeavour to deepen manufacturing base of the newly founded state of Gujarat, the Industrial Extension Bureau (iNDEXTb) was established in Gujarat during the 1960s. Engaging with entrepreneurs, firms and companies desirous of investing in Gujarat, it facilitates them through the process of starting industrial operations in the state of Gujarat. To provide a single point contact for those establishing industrial ventures within a State, it’s a first of its kind initiative by an Indian state. An ISO 9001-2015 certified organisation, iNDEXTb is today the principal organisation of the Ministry of Industries and Mines, Government of Gujarat, for promoting manufacturing and other industrial sectors in Gujarat. The organisation promotes Gujarat as an industry-friendly destination for investment, assists entrepreneurs, firms and companies intending to invest in the industrial sectors in Gujarat. It also facilitates the smooth implementation of their projects and works on propagating industrial policies and providing information on the opportunities for investments to potential investors. To perform various tasks of iNDEXTb, the organisation is structured into self-contained cells headed by senior officers – the key divisions include Investment Promotion, International Business, Project & Technology, IT, among others. The key aims of iNDEXTb incude to inform the people at large and potential investors, particularly about the industry, trade and commerce opportunities available in Gujarat. It also aims to disseminate industry relevant information about Gujarat through mass media, and facilitate entrepreneurs, technicians, artisans and investors through the process of establishing industrial units in Gujarat. Encouraging the educated youth inclined to take up industrial and developmental activities in Gujarat. It also organizes or participates in events aimed at promotion of industrial development in Gujarat. It is also instrumental in developing resources, like libraries, reference and information systems, tool rooms and services, holds training, guidance, information camps and courses that benefit industry in Gujarat, and establish or support centres for documentation, maintenance and supply of data, projects and information useful for government authorities, institutions and industry in Gujarat. To publish and distribute printed material regarding industry in Gujarat to prospective entrepreneurs, artisans and institutions, and also assist other institutions engaged in such activities. To coordinate the development and extension and promotional activities of all institutions engaged in economic uplift and industrial development in Gujarat. To establish, maintain or manage offices, bureaus, counters and conference halls where required to further the cause of industrial development of Gujarat. To assess the progress in industrial units, with regard to investment, employment, production and other factors. The organisation manages Mahatma Mandir, one of the largest convention centres in India. 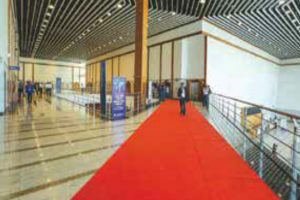 Located in Gandhinagar, the capital city of Gujarat, the convention centre is designed and equipped to host global events, summits, conventions, seminars, conferences and exhibitions. iNDEXTb is also the nodal agency for organising the prestigious biennial Vibrant Gujarat Global Summit. An ‘Investor Facilitation Portal’ (IFP), a single window online platform, acts as the first point of contact for any investor in Gujarat. This portal enables collecting information, filing of application, e-payment facility, monitoring status of 52 types of applications across 12 departments for setting up business. The Investment Facilitation Center (IFC) is a physical body / bureau set up to support the functioning of the single window clearance facility provided by the online portal of Gujarat. It has an office with trained staff to maintain a physical helpdesk. It provides the investor with all the help required regarding the relevant approvals to set up a business and information related to Investor Facilitation (IFC) Portal. To provide a centralised system to facilitate investors to make investment application. To create a single window for interaction between investors and Government departments regarding queries. To offer an investor-friendly application filing process. To speed up the process of approvals in getting permissions, services, and statutory clearances. To put in place tracking mechanisms for approvals, investments and the monitoring of disbursements. 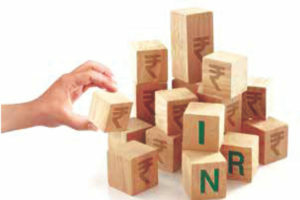 To support investors wishing to log grievances regarding clearances, approvals etc. To increase ownership in departments by virtue of file tracking. To put a system in place to check the status of investment applications by authorities and individual investors. To disseminate information to investors regarding infrastructure availability, policies and incentives. To facilitate online payment of fees for approvals and clearances. IFP will be supported by district-level kiosks for handholding and supporting investors through the applications and processes. 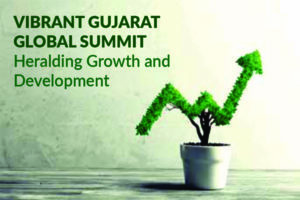 The Vibrant Gujarat Global Summit (VGGS) was launched to hold an investors’ summit to draw inward industrial investment into the State, thus providing partnering opportunities for Gujarat’s entrepreneurs, creating more jobs, developing new clusters, and enabling technology transfer. Serving as a knowledge-exchange platform for the corporate groups and other investors to explore new avenues of investment and partnership opportunities with State government officials, it holds huge significance. Over the years, the biennial summits have underlined Gujarat as a safe State for investment, conducting business and setting up industrial units, showcasing the State’s entrepreneurial spirit, peaceful workforce, business-friendly policies, manufacturing base, decision-makers and investors. 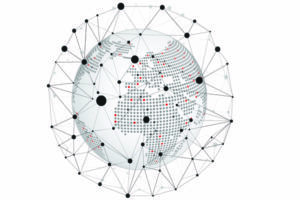 The summit will witness a grand congregation of Heads of States and Governments, Ministers, Leaders from the Corporate World, senior policymakers, Heads of International Institutions, Thought Leaders and Academia from around the world to further the cause of inclusion, cooperation, and development. 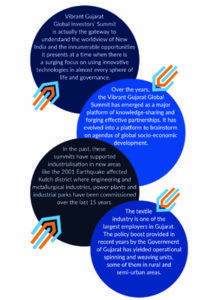 This edition of the summit will also present Gujarat as an engine of India’s incredible growth story. The summit programmes are likely to involve seminars on Ease of Doing Business, Public Private Partnership in infrastructure and urban development, international development finance, innovation, startups and entrepreneurship, and smart villages. As part of the summit, a Nobel Laureate Symposium will bring together Noble Prize recipients for a session that will focus on innovative measures to spur societal benefits and economic growth.